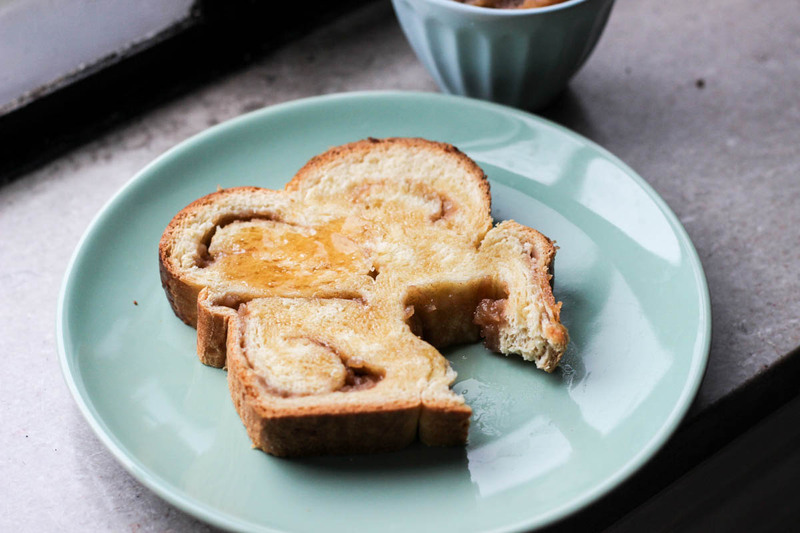 It’s the Jewish New Year, and I was inspired to bring together some classic Rosh Hashanah flavors in this tasty challah filled with homemade honey apple butter. At Rosh Hashanah you eat apples dipped in honey to signify a sweet and prosperous new year. Being Jewish on my dad’s side, I’ve always grown up with a fondness for Jewish holidays. 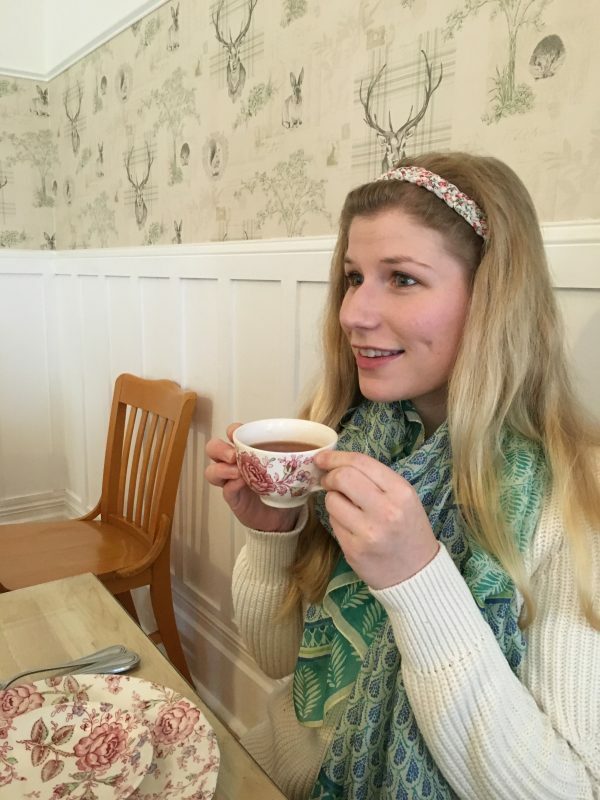 I’m sure I’ve said on the blog before that I’m not religious, but I do love to celebrate my background through food. 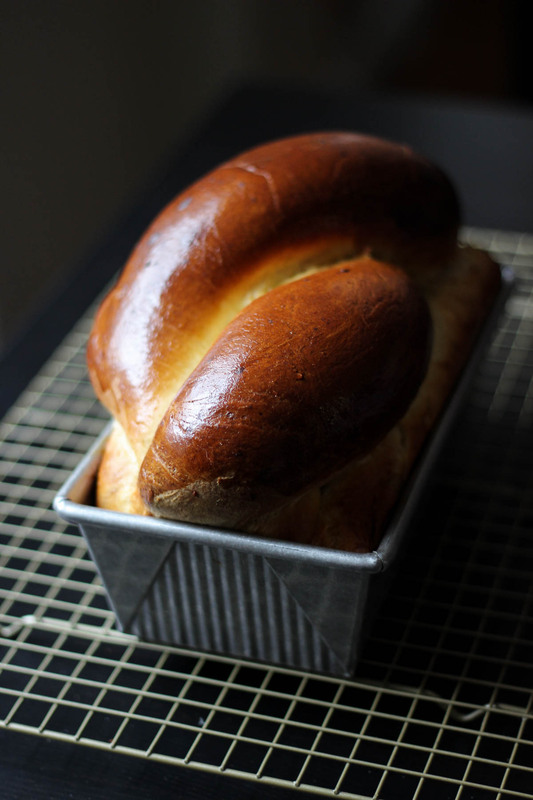 Challah is one of those bakes I’ll never get tired of trying over and over again with different spins. It’s so versatile since you can fill it with anything ya want, braid it different ways etc. Look at that beautifully browned crust, and fluffy interior! 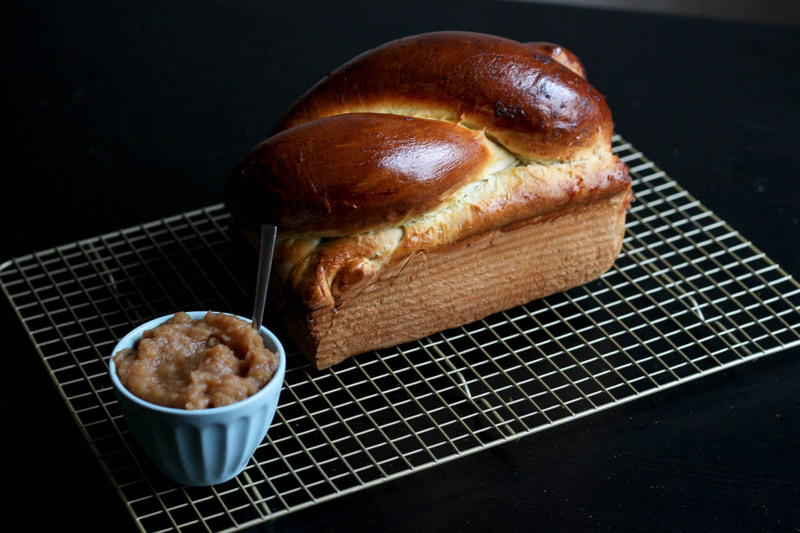 Apple butter inside challah is the perfect way to say hello to Fall in my book. 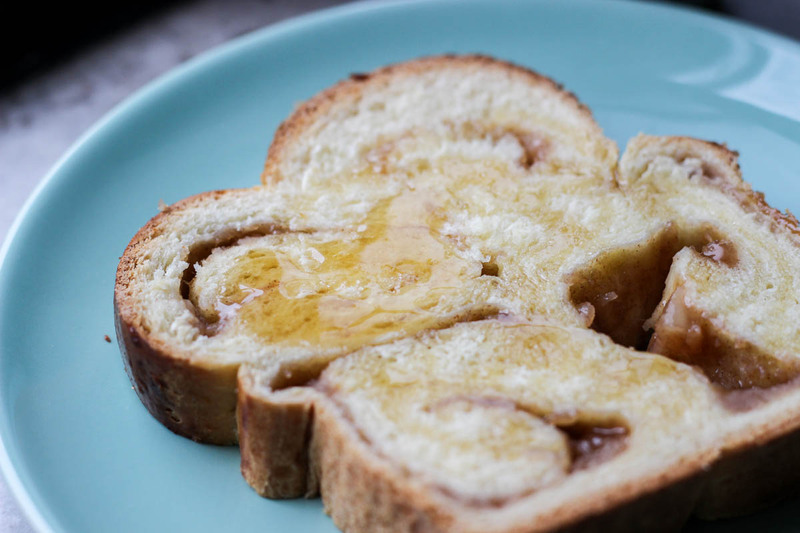 Jewish challah bread filled with homemade honey apple butter. 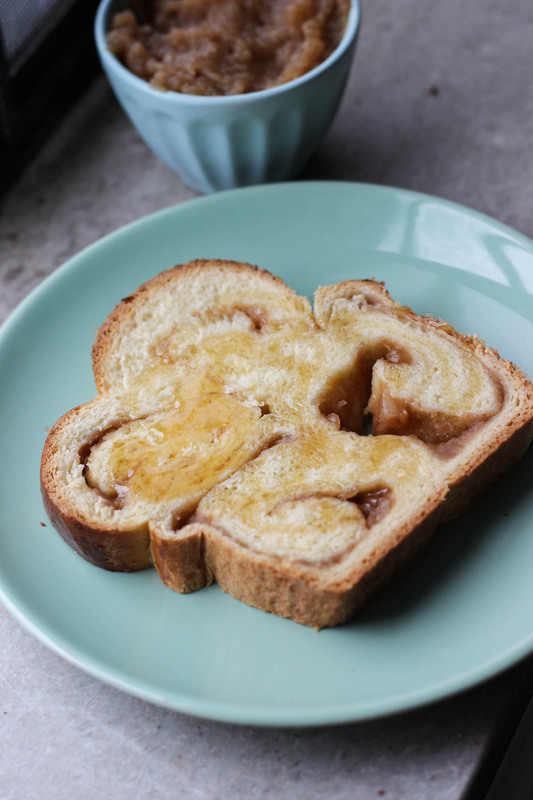 Apple Butter: In a medium pot over medium heat, simmer all ingredients together for about 20 minutes. You want the apples to soften, and to absorb most of the liquid. If the apples are still firm or you're scorching the pan, add a little more water until they soften. Blend in a food processor until desired consistency. I like to keep mine a little coarser for some texture. 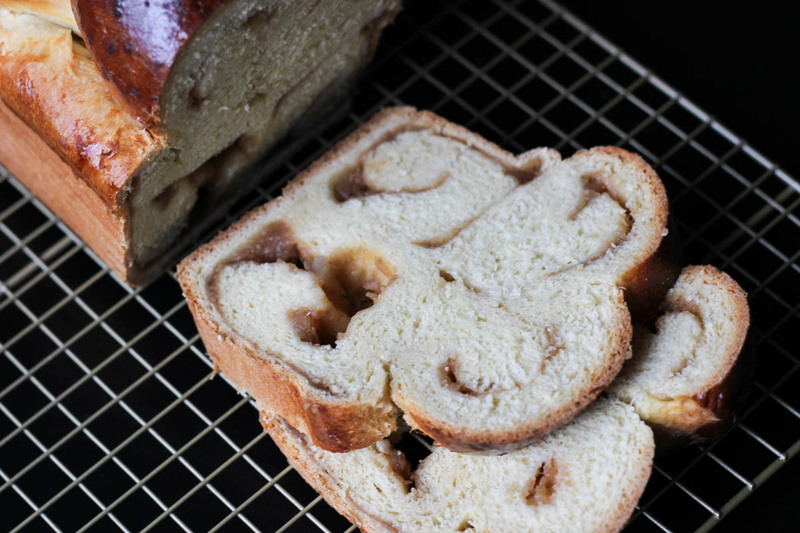 Dough: While your apples are simmering, you can start the dough. In the bowl of your stand mixer with the paddle attachment, combine the liquid ingredients with the yeast and beat together. Add the flour and salt, and mix on low until everything comes together. Start with 3 1/2 cups of flour, and if it's too tacky add a bit more until it comes together into a smooth dough (up to 4 full cups). Switch to the hook attachment, and mix on low for about 8 minutes. Oil your bowl, and allow to rise in a warm place for an hour. 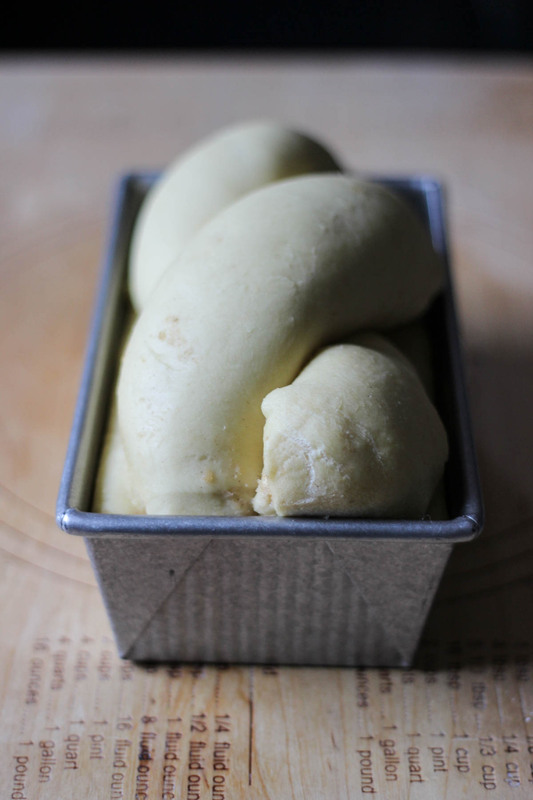 Assembly: On a lightly floured surface, divide your dough into four portions. Roll into an approximate rectangle, as thin as you can. 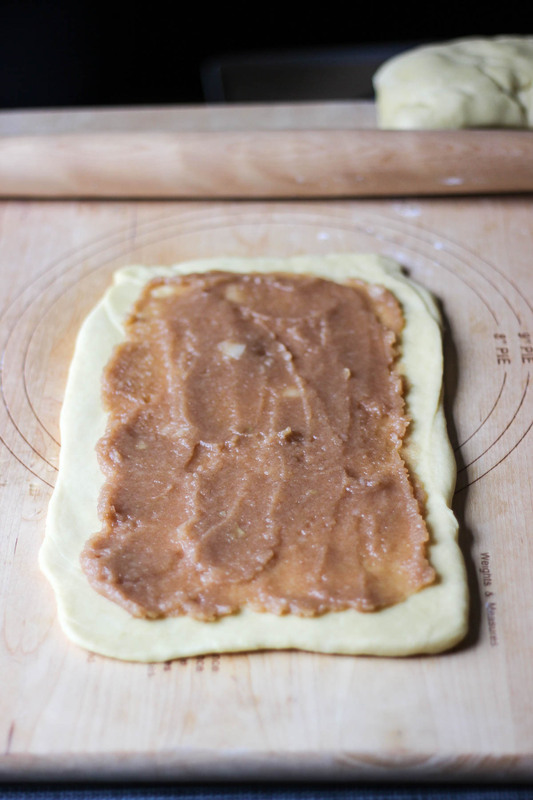 Spread a thin layer of the apple butter onto the dough, leaving a border. Roll it up tightly into a log. Repeat with other portions of dough. You'll have 4 strands to braid. 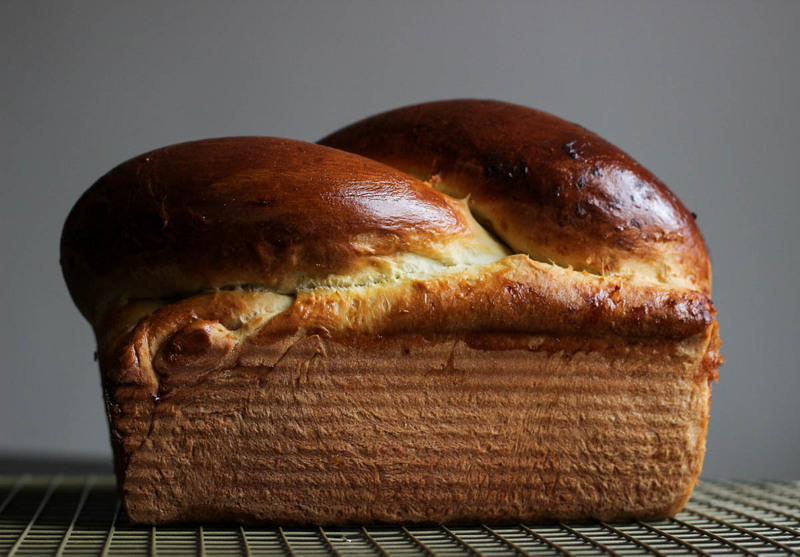 Braid your loaf as desired (look up different fun ways!). 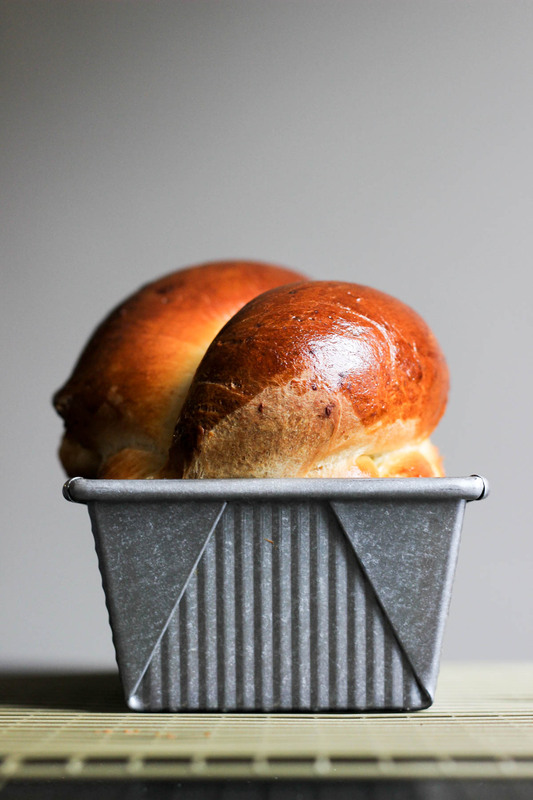 I put mine in a loaf pan and twisted the two top strands together. 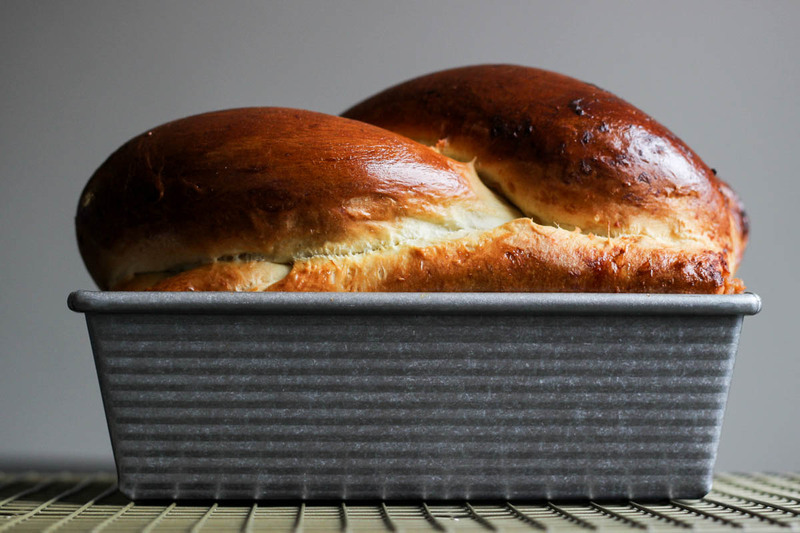 Transfer to a parchment lined baking sheet, and allow to proof for up to an hour. Up until the last two days, it has been unrelentingly hot and humid here in Pittsburgh since we arrived at the beginning of August. We’re in the middle of a huge storm now, so it’s finally starting to feel like Fall is around the corner. 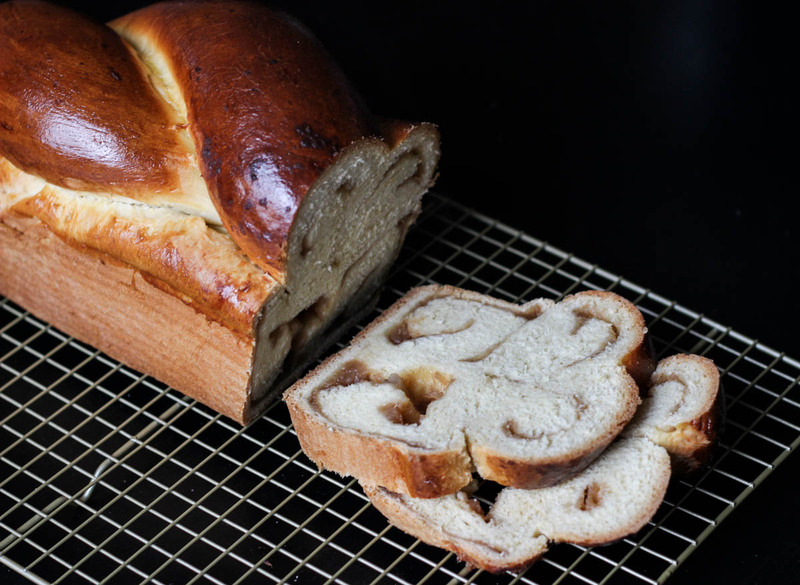 I’m cozying up with copious cups of tea and now a slice of this challah. Hi Sophie! This is Aki. Can you please post a recipes for madeleines? Bye.